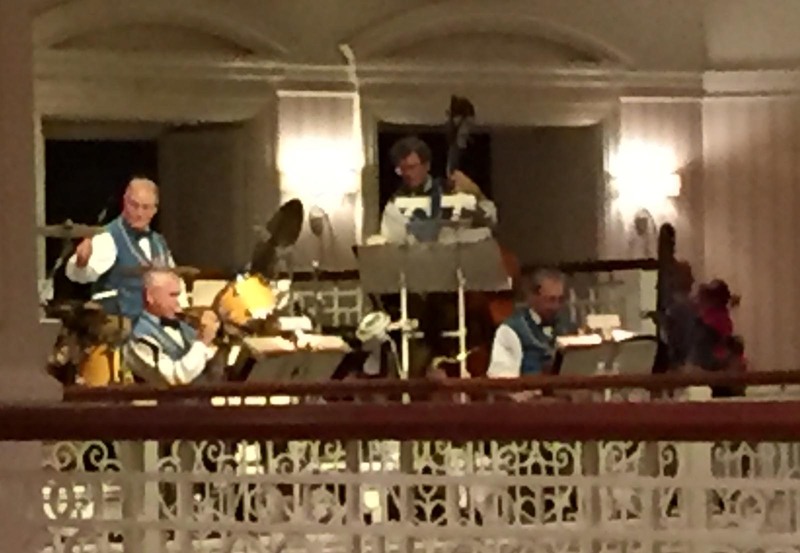 Here’s a somewhat close-up (it was shot with my iPhone) of the live band playing Feb. 6, 2016, when we strolled through Disney’s Grand Floridian Resort & Spa. We stopped in the early evening on our way to the Magic Kingdom on the Resort Monorail and stopped to do some shopping. Live music for guests is a really nice touch. We were at Walt Disney World for a long weekend visit.